I promise to use it only to send you Content Literacy Strategist. Break out sports cards in Physical and Health Education classes. The following activities are especially useful as departmental and interdepartmental projects. * special subsets like rookie or MVP cards. What other game information could you add to a set of sports cards? Choose the topic for a new type of card to be included in a set. Create material for one example of this new card type and present it, front and back. All professional games require officials to ensure play action runs smoothly and fairly. Choose your favorite sport. 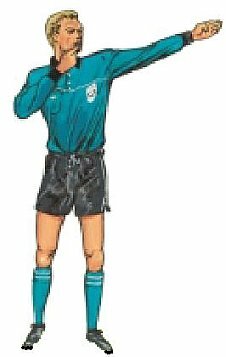 * What are the names of the officials required for the play of one game? * What are the duties of each? * How is each chosen? * What training must they have? * How many minutes of each game do they work? * What special equipment do they carry? * What are the signals they use? Illustrate each signal on a separate card. To deliver star level performance, the subject of trading cards follow individualized exercise programs. Choose a skill demonstrated in action on a sports card. * What muscle groups need specific exercises to perform that skill? * What warm-ups are practiced? How does a particular athlete stay in shape during the off-season? * Choose one athlete from a sports card. * List the sports you think would make good cross-training activities for the athlete to stay in shape during the off-season. * Explain how each activity you selected contributes to the athlete’s training. 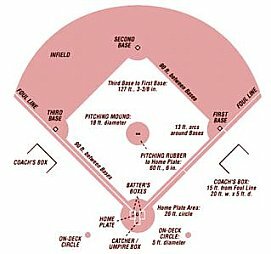 What are some differences between the professional rules of your favorite game and the rules followed for college or international or inter-league play? Choose 3 to 6 elements you can compare and chart the rule differences between levels of play. Return from Teaching Physical and Health Education from Sports Cards to Sports Cards hub page for even more sports card teaching ideas! Return from Teaching Physical and Health Education from Sports Cards to Real World Content Advantage home page.